Just $5.99. Get it here for your iPad or Mac. $5.99 Get it here for your iPhone. $6.15 Get it here for Windows or your Android device. 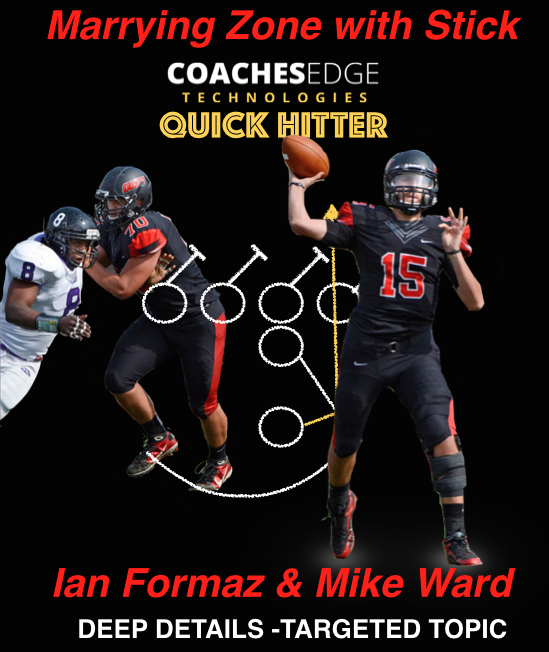 Our first Quick Hitter comes from the Co-Offensive Coordinators at Ohio Wesleyan University. Their concept of pairing zone read bubble with stick and reading a second level defender proved to be a successful way to utilize their non-mobile quarterback. Formaz and Ward share the details of their concept and include 16 multi-angle game cut-ups to illustrate the multiple options within this play. This entry was posted in Uncategorized and tagged quick game, RPO, zone bubble by coachgrabowski. Bookmark the permalink.